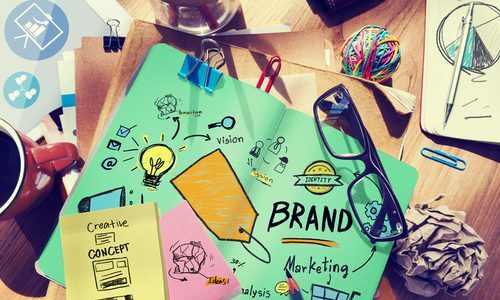 There are some big-name brands who've really hit the nail on the head when it comes to exciting campaigns – Red Bull, Nike, Coca-Cola, Virgin and Intel, to name a few – but that's not to say they’ve cornered the innovative ideas market. Every brand has the opportunity to inject a little excitement and enthusiasm into their marketing campaign, even when they're selling B2B and their products are a little quieter and less aspirational than some of the biggest players. No matter how many other businesses are selling similar products, you can guarantee that you have a unique take on your brand – and that's all down to the people on your team. These men and women are some of the most valuable assets in your corner, and by letting individual personalities shine through to inform the voice of your brand, you can create something unusual and easy for clients to connect with. Be approachable, drop unnecessary formality and build your own style – even other businesses want to feel like they're talking to a person. You know your product better than anyone else – find ways to talk about it, and your industry, in a way no one has done before. Keyword research is fantastic for telling you what people are looking for, but when you're marketing B2B you have the opportunity to forget about what people want now and start thinking about what you want them to think about in the future. Create content that focuses on changes you see ahead, innovation in the industry and things you've noticed about your products. Give clients something new to think about and they'll soon associate your brand with interesting content and fresh ideas. Show potential clients how your products and services can have a positive impact on their business with the help of some simple storytelling. Pick a pain point you know many of your clients are likely to suffer from and create a scenario around it, demonstrating the problem, its impact and the solution. Videos are brilliant ways to tell stories in an accessible way, but images, infographics and even short pieces of text can do the job just as well. Be inventive in your storytelling and don't be afraid of using humour to demonstrate your pain point – plenty of watchers are sure to relate. Do you know a B2B business with excellent brand engagement? Or do you think you have the perfect balance? Share your success in the comments and inspire some brand excitement.